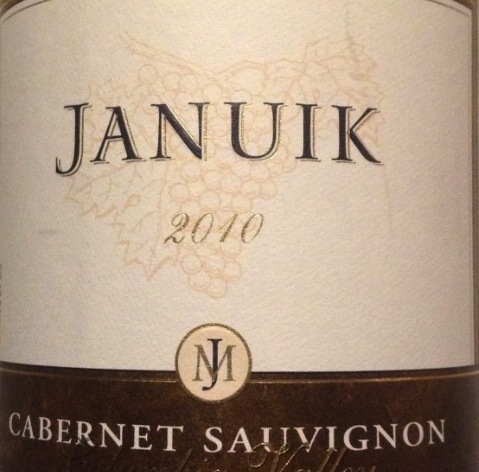 The Januik Columbia Valley Cabernet Sauvignon is made from a short list of vineyards considered to be among the best in the state. The diversity of these vineyards which represents many of the most mature, carefully managed sites in Washington provide for a full range of fruit expression that allows for a well crafted, complex, multi-layered wine true to Columbia Valley terroir as well as the varietal character of the grapes. 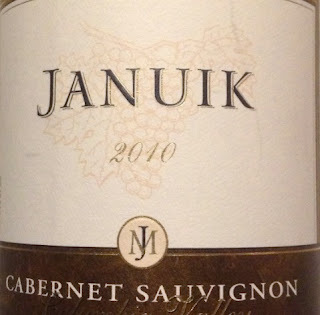 The 2010 Cabernet Sauvignon includes grapes from Champoux, Klipsun, Red Mountain, Weinbau and Lady Hawk vineyards. 92% Cabernet Sauvignon; 5% Merlot; 2% Cabernet Franc; 1% Malbec. On the nose I get generous aromas of blackberry, cassis, dark chocolate, melted black licorice, all spice, and lovely cedar box aromas. This wine is very young and already has such a wonderfully complex and multi-layered bouquet.......will be interesting to see how this wine shows with a few years of age.